The Peugeot 206 van has been chosen by independent leasing company, Venson Automotive Solutions, as the ideal vehicle to fulfil a new contract with one of the country’s leading energy suppliers, npower. A total of 168 vans – all 206 1.4 HDi – are being supplied to npower’s Meterplus division, which is headquartered in Leeds, although the fleet will be operated throughout the UK, where it will be used by the company’s meter reading service. The contract is worth £1.5m. 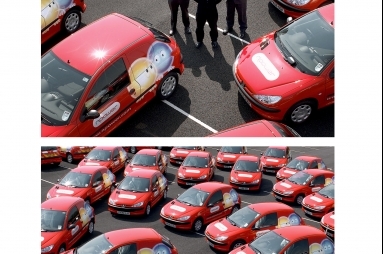 Venson Automotive Solutions is the solus partner for npower in fleet management solutions, and has already worked closely with Peugeot to provide other company vehicles. Last year a contract was completed for 70 Partner vans, with bespoke racking & shelving. Venson’s “equip for service” facility worked in partnership with Peugeot to create an individual vehicle to meet the requirement. Additionally, Venson has worked with Peugeot for the supply of cars to Thames Water, another RWE npower subsidiary. The new 206 vans are all being supplied in red with npower’s new “orb” livery, and will be delivered over a two-month period, which started in May, through Perrys Group Fleet Direct dealerships based in Milton Keynes and Nelson, Lancashire.